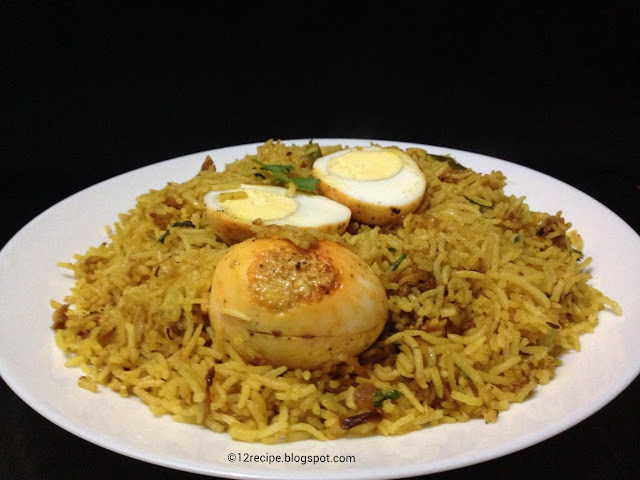 Egg biriyani is an easy, quick and flavorful recipe. 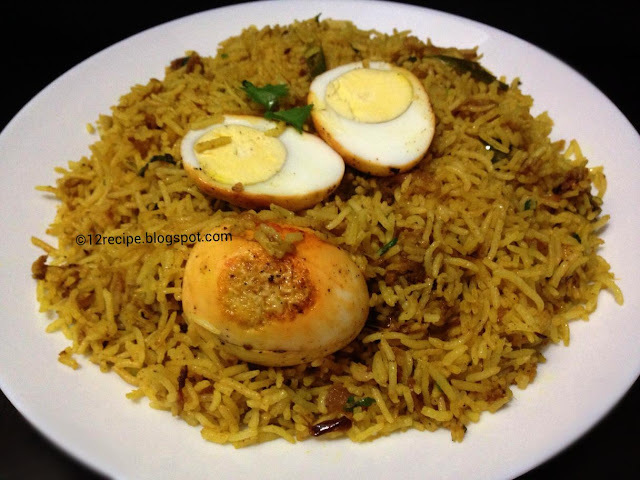 It’s a wonderful treat for all the egg lovers and one of the best choice to impress your unexpected guest. Drain it and cook with enough more boiling water, salt, cardamom, clove, cinnamon and bay leaf until cooked. Add onion and sauté well until golden in color. Add ginger , garlic and green chilly. Sauté for a minute. Add all the powders one by one after mixing well in each addition in a low flame. Add lemon juice and curd. Mix well for a minute. Move all the masala in to one side of the pan. Make some slits on the egg with a sharp knife. Add it in to pan without touching the masala. Sauté for 1-2 minutes until all sides are coated with the masala flavor. Sprinkle little pepper powder on top of it. Take it out from the pan. Keep aside. Add cooked rice in to masala and give a nice mix. Cook for3-5 minutes in a low flame until the masala well coated with the rice. Add boiled eggs on top of it and serve hot.